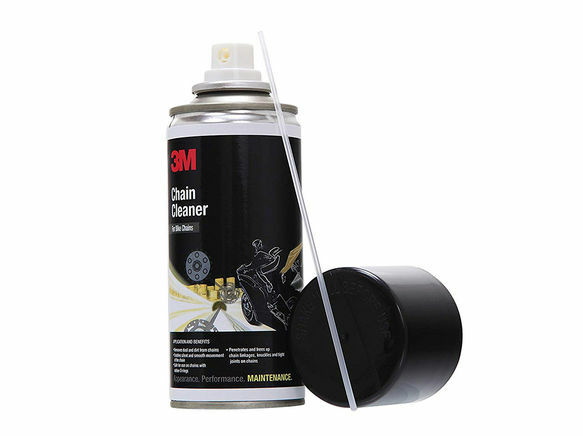 3M Chain cleaner is an effective product which removes silage and metallic dust quickly and dissolves dirt and grease without damaging chain. 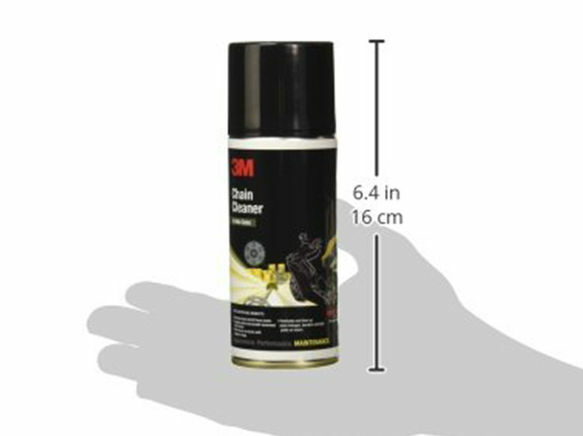 For best results use 3M chain cleaner and lubricate the chain with 3M chain lube. For effective results spray the product while rotating the chain in the event of new chains, all anti corrosion coatings must be removed. 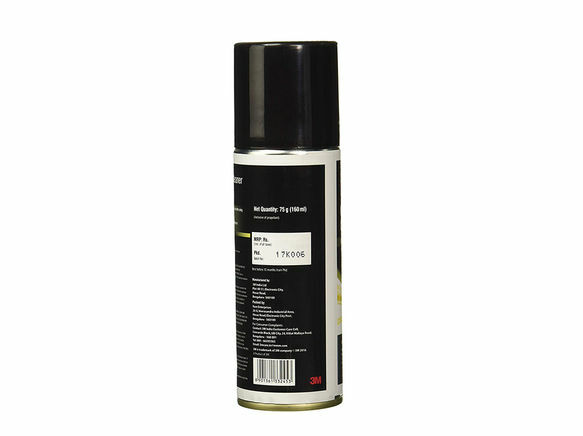 Spray from a distance of 6 to 7 inches.